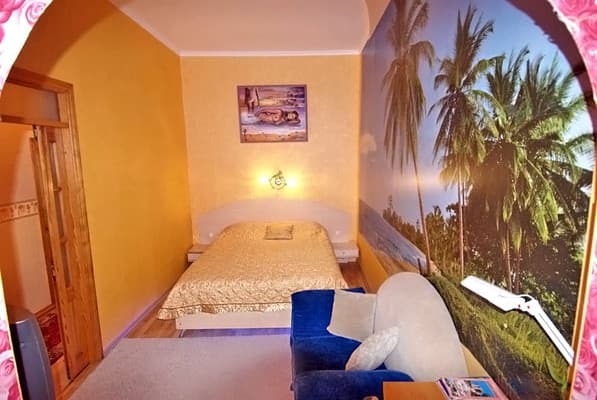 The apartments are located in the first line of Yalta Embankment, 40 meters from the sea. Nearby is the theater. Chekhov, the museum of Lesya Ukrainka. One-room apartments with an excellent layout accommodate a spacious entrance hall, bedroom, kitchen. The kitchen is equipped with stove, extractor, sofa, TV, dishes, refrigerator, electric kettle. The bedroom has a wide double bed, armchair, desk, air conditioning, TV with cable TV. The bedroom gradually turns into the balcony, where a mirror wardrobe is installed. In the bathroom there is a bathroom, a toilet, a washing machine, a set of towels. To the sea - 5 minutes walk. PRICES MAY CHANGE, IT IS REQUIRED TO RECEIVE INFORMATION FROM THE OPERATOR. Description of the room: Spacious hall, equipped kitchen with necessary set of kitchen utensils, bathroom. In the bedroom: double bed, air conditioning, TV with cable TV. The bedroom gradually turns into the balcony, where a mirror wardrobe is installed. 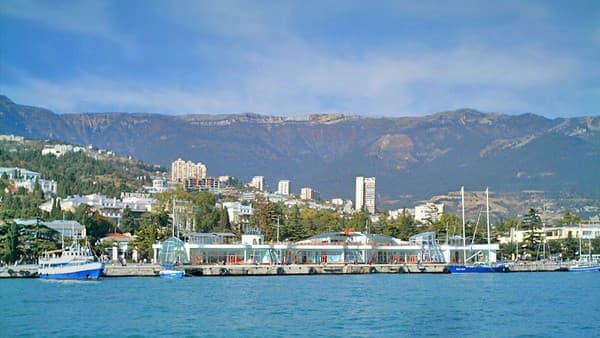 The apartments are located in the first line of the Yalta embankment 40 meters from the sea or 1-2 minutes walk. From Simferopol (airport, bus station, railway station) by shuttle bus or bus to Yalta (bus station), then by shuttle bus no. 1 or trolleybus No. 1 to the stop "Morskaya".